Have you ever see those little books that look like silent movies when you flip them really fast? They're called flip books. Now you can make your own. 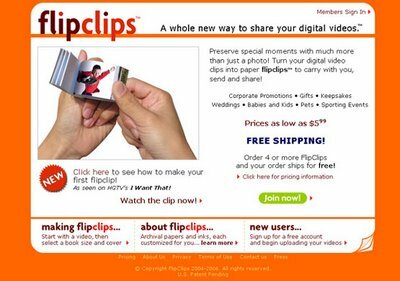 Or rather, FlipClips will do it for you. Just film a short video on your camera, and upload it to this site!